I hope all my friends won't me asking for your support for my nominations in this year's annual Preditors & Editors Awards. As always, I really appreciate all the support given to me and my work by all of my friends and contacts and hope you will all feel able to do so once again. Voting opens on 1st January and closes at midnight on the 14th. Oftentimes when listening (e.g., during a seminar, a simple conversation, to a speaker, etc. ), I visualize one aspect of what is being said and turn it into an essay. For instance, when overhearing a conversation about canoeing or kayaking on the American River, I immediately envision a scene, title it, and can go on in essay form in my mind. Weird? AK. New Year's Super Sale at CAOT Christian Superstore! 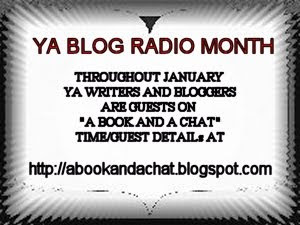 To start of the New Year I am as they say in the North of England, "Chuffed to little meat balls" to be hosting a YA RADIO MONTH. 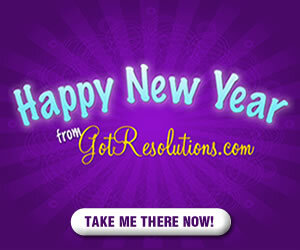 I wish you a very blessed prosperous joyous super healthy awesome New Year 2010!!! I am so excited about this wonderful network John has created for us. Thank you - JOHN!! My latest book's proof is on its way to my desk and I am preparing a marketing program. It is a lot of work but I do all of my own designs and illustrations so not as expensive as it could be. The 2010 New Year Baby said he will not sign on to take responsibility for 2010. The Baby was quoted “Are you nuts? I’m not getting involved with all the crap going on down there.” He said referring to Earth and the stream of bad news in 2009. At the behest of the German government, more than six million Jews were systematically exterminated, in addition to at least four million additional "undesirables," including Roma, homosexuals, political prisoners, Russians, criminals, the mentally challenged, etc. One has not truly experienced life until visiting a pawn shop. It is a cultural experience worth the time. The thing I found most striking on my first visit was the number of wedding rings in the glass case which also served as a counter. I can only imagine the heartaches behind each one of them. Last Day of 2009 Treat! Last days of anything can get busy, but I hope you'll make a little time to hang with my blog guest, Elisabeth Naughton and me at www.emilybryan.blogspot.com. Elisabeth is giving away a copy of her STOLEN FURY to one lucky commenter! Wouldn't that be a great way to start the new year? I'd like to invite you to listen in and watch a special webinar I'm doing with Joan Stewart and Jeanne Hurlbert on Wednesday, December 30th at 8:00 p.m. Eastern time (5:00 p.m. Pacific time). According to Nordic mythology when Odin chief of their gods decided to invade another land, he first decided to hang upside down from a tree limb.